New cryptocurrencies are constantly being created which offer solutions to real world problems. As an enthusiast of cryptocurrency as a technology, once in a while I experiment with up-and-coming crypto coins to test their functionality and ease of use. One such cryptocurrency I played with is IOTA (MIOTA). 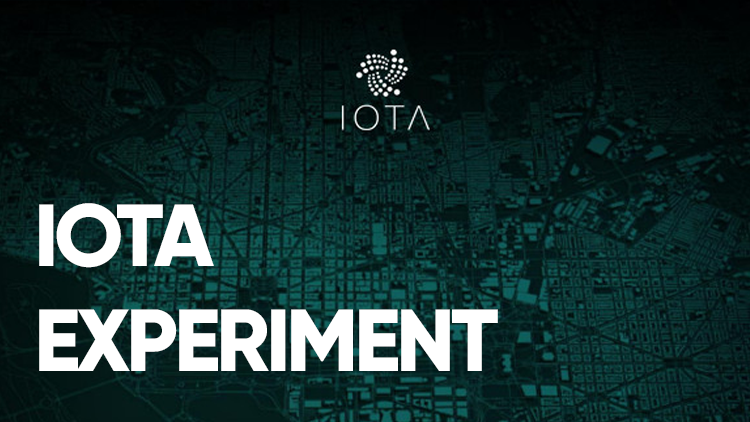 IOTA was created in 2015 and was beta tested throughout all of 2016. In mid-2017, IOTA began listing on exchanges, making it easily accessible for the public to purchase. Its claims of being able to transfer funds in a decentralised way without the need for mining or a blockchain is what intrigued me. So what is IOTA? IOTA is an open source distributed ledger focused on providing secure communications payments between machines on the Internet of Things. The Internet of Things (IoT) is the network of physical devices, vehicles and home appliances embedded with electronics, software and sensors which enable these things to connect and exchange data. This creates opportunities for the integration of the physical world into computer based systems resulting in efficiency improvements. Examples of the Internet of Things in existence today are smart thermostats which can regulate the temperature of a house by communicating with a mobile phone app, or a smart light bulb which can be turned on and off by communicating with a device like Google Home. In the future, the Internet of Things may offer solutions such as a refrigerator being able to communicate with a self driving milk truck to deliver supplies when milk stocks are low. What interested me about IOTA was the replacement of a blockchain with a technology called the Tangle. The Tangle is a new data structure which does not need miners and data blocks. Instead, each member who wants to execute a transaction must actively participate in the network by approving two past transactions. This creates decentralisation, as users around the world verify and process previous transactions on the network. The IOTA token cannot be mined, rather the entire supply of coins were released at the time of the network’s creation. My experiment with the IOTA token was not a positive one. In order to experiment with the token, I first needed to download a wallet. I was immediately sceptical when I noticed that there was only one wallet which could be downloaded and used to store the IOTA token. Worse still, in order to use the wallet, I first needed to independently generate my private key using a random seed generator. This is incredibly stupid! In other words, in order to use the only IOTA wallet available, the user must first direct to a third party website which randomly generates their private keys. An analogy for how ludicrous this process is would be if a bank issued a blank credit card and told the customer to generate their own credit card number by soliciting a strange website which displays random credit card numbers. Needless to say, I was certainly dubious of this process. In fact, I had read that a scam website IOTA-help.com deliberately stole IOTA tokens by using the private keys it generated for its users. After generating my private key on some random website, I created my IOTA wallet, transferred a small amount of tokens which I had purchased on an exchange, and verified that the funds had indeed arrived in my wallet. Upon opening my IOTA wallet the following morning, I witnessed my balance appear, then disappear, then appear again, as my wallet attempted to sync to different nodes on the network. After playing with the settings in my wallet, I discovered that my transfer which was confirmed the night before had been verified on some nodes but not on others. This Tangle system obviously has issues. If nodes cannot reach consensus, then the entire network is broken and cannot function as a reliable means for transferring funds or data. I had also read that public addresses could only be used once, meaning that if a second transaction were to be sent to the same address, the funds sent in the first transaction would be lost forever. This is comparable to an email address which could only accept one email, and if more than one email is sent to the same address, all previous emails would be deleted forever. Do I need to further explain how inoperative IOTA’s wallet system is? Lastly, after my wallet was finally able to sync to a node which verified my balance, I wondered whether the funds would eventually be hacked. I didn’t have to wait long. My wallet was hacked less than 24 hours later, with the culprit almost certainly using my private key which was created using an online random key generator. To summarise my experience, I believe the Internet of Things to be an exciting new technology which may offer some really cool features in the future. The IOTA token, however, is a defective and unusable technology in my opinion. If you feel the need to speculate with the IOTA token, perhaps it may actually be safer to buy and hold your tokens on an exchange rather than in a private wallet.